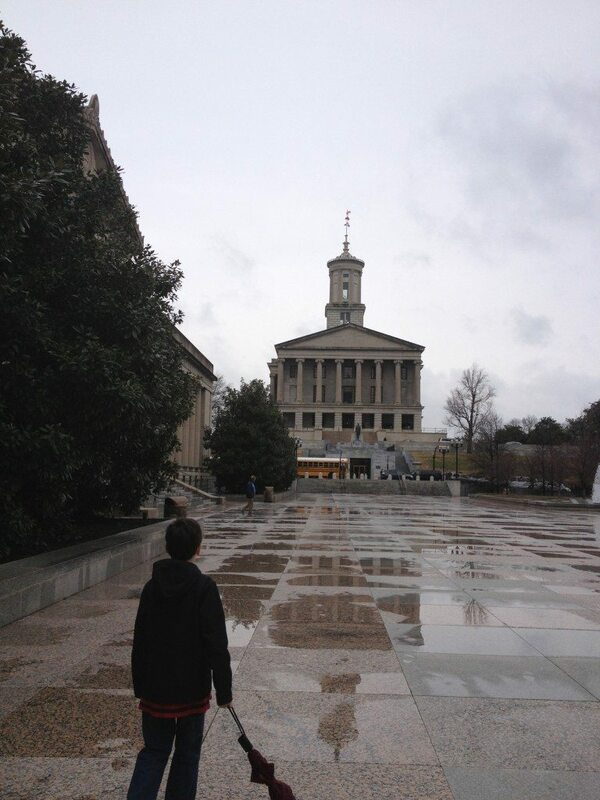 A visit to the Tennessee State Capitol is great exposure for kids at anytime – but when the legislature in session it is a particularly great time to bring civics home. Kids can experience government first hand. Make sure to do some planning before you head out – parking can be difficult. There are metered spaces available but I went with a Central Parking lot across from TPAC on Church Street (more info here). It was $16 but we made of a day of our trip and also visited the Tennessee State Military Museum while we were in the area. (The Military Museum is off the stone courtyard on Declan’s left in the picture). We entered the Capitol through the lower entrance on Charlotte Avenue (seen beyond the school bus in the photo). My bag was searched and we walked through metal detectors but the process was quick and painless. The guards are full of information so make sure you ask them any questions you have. There are 2 ways to tour the Capitol – a guided tour lead by staff members of the Tennessee State museum (we highly recommend this option). Alternatively, you can pick up a brochure for a self guided tour. 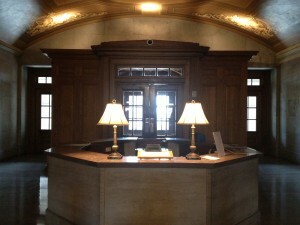 Both options leave from the information desk in the center of the first floor. Tours are offered every hour on the hour from 9 AM to 3 PM. We arrived a few minutes after 11 so the guards suggested we have lunch in the cafeteria. There are lots of choices – a selection of meat & three as well as a grill that serves burgers, chicken sandwiches and fries. 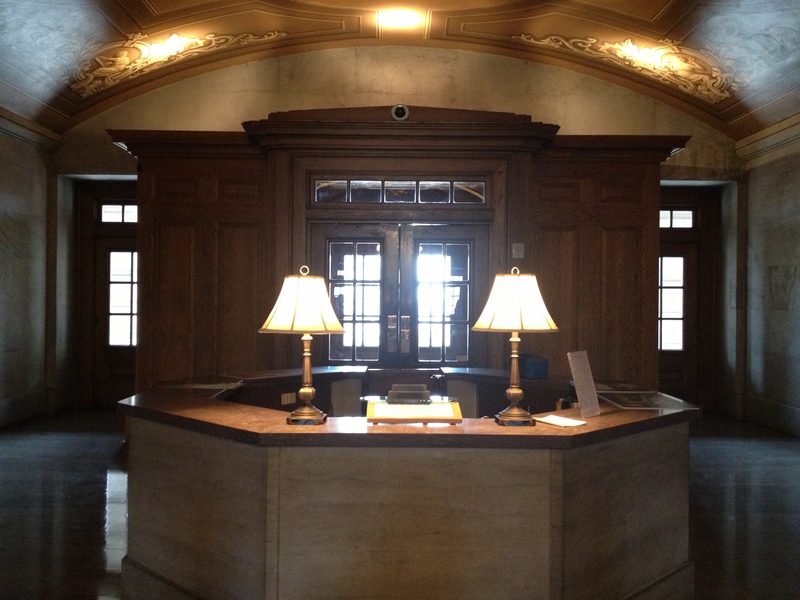 You may also see the Lieutenant Governor – his office is across the hall from the cafeteria. After our lunch we arrived at the information desk along with a school group. The tour guide let us come along and we learned about the portraits in the area which include all 3 Presidents from Tennessee. From there we got to see the Governor’s Reception room (as long as the door is open you can venture in :)). We also saw both the House and Senate chambers. Neither were in session when we visited, but if you are lucky enough to be there when they are be sure to venture up to the gallery. You can watch the lawmakers at work! I think the most exciting part for Declan was the tombs. 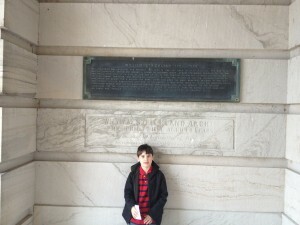 There are 2 men buried in the capitol walls. William Strickland, the capitol’s architect was interred on the North end; and Samuel Morgan, the chairman of the Capitol Building Commission was entombed in the South end of the building. After our tour we walked by the Secretary of State’s office and we were invited in. In his office there is a press that you can use to make a copy of the State Seal to take home. We also stopped by the cafeteria on the way home for ice cream. The schedule changes daily. Check out http://www.capitol.tn.gov/ for the schedule of the Senate and the House as well as the committee meetings.